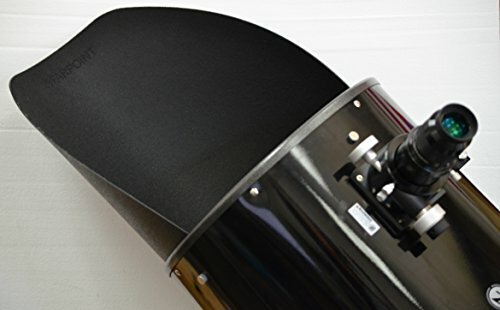 Farpoint's snap-in light shield for Zhumell Z12 telescope and many other 12" Dobsonians with 14" OTA's and 4 vane spiders. The FZS12 blocks unwanted off-axis light from entering your telescope and greatly improves contrast! 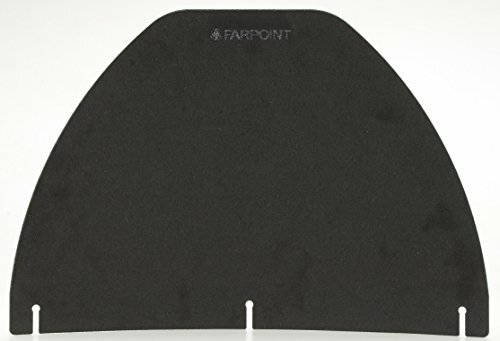 The FZS12 is made of lightweight flexible plastic and (unlike many cheap unlined imitations) it is lined with the same material used on our Farpoint Dew Shields for maximum light absorption and minimum reflectivity. Quick and tool-free installation, hooks onto your spider vanes.